Tables 1 to 3 define solar PV BoS costs. 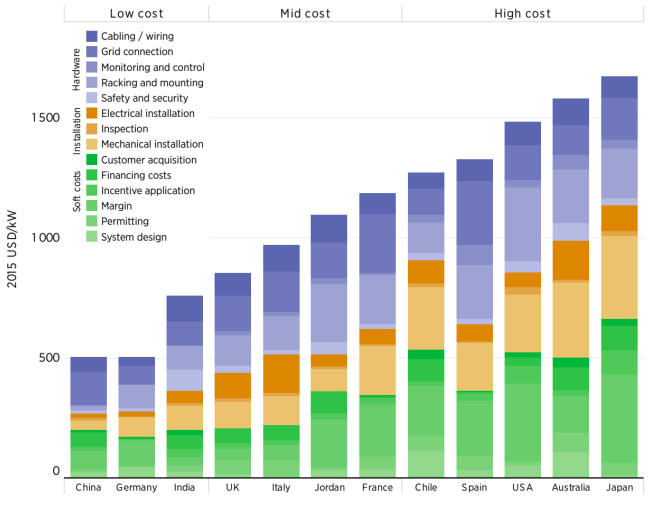 First, there are hardware costs beyond the modules and inverter. There are also installation costs. Finally, there are vendor specific soft costs. A cost breakdown structure is then use. The structure details the drivers of BoS costs. Margin Margin for OEM equipment vendors and EPC company. Also includes fees for project developer for development activities, as wella other profits, wages, legal fees, etc. The data highlight the importance of the structuring of support policies and their impact on competitive pressures, as well as the benefits that accrue to established and mature markets with a wealth of domestic experience in implementing solar PV projects. 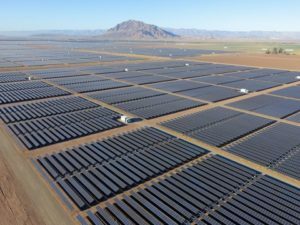 Solar module pricing declined 80% from 2009 to 2015. 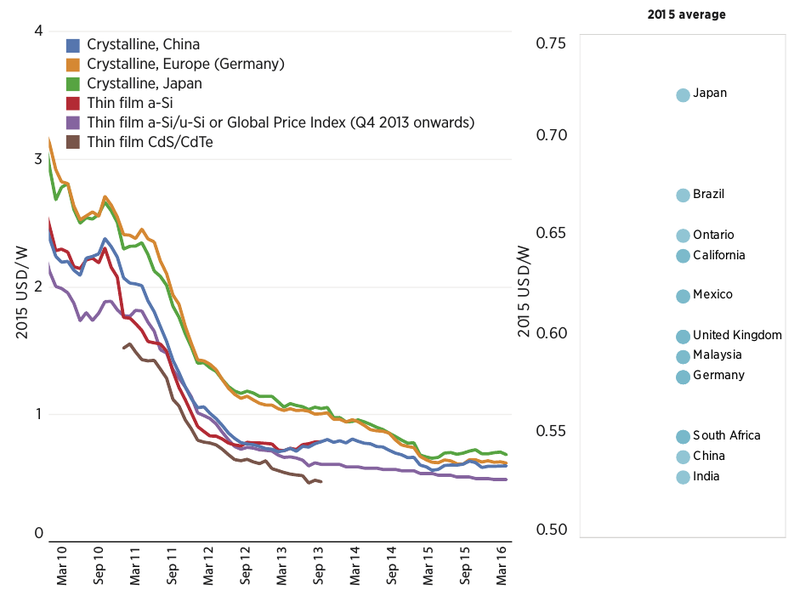 During Q1 2015, solar PV module prices continued to fall by 15% for crystalline modules and by 4% for thin-film modules. This entry was posted in Economics, Engineering. Bookmark the permalink.